The challenge we've set for ourselves at Zenatek is to provide owners and shippers of valuable merchandise with an advanced, reliable and cost-effective solution for safe, controlled shipments, worldwide, with the latest technology and the best possible support network. In response to this critical challenge, we've created the Zenatek Tracking system (ZTS). This system affords our clients a new level of performance and reliability in tracking, monitoring and reporting on transported goods. It provides clients with real-time information on the condition and location of all shipments, and allows them to rest secure in the knowledge that their shipments will be delivered safely and securely, when and as promised, to any part of the world. The Zenatek Tracking System is a highly reliable and innovative technology-based service we offer our clients. It makes use of a self-powered, energy-efficient device, easily installed and configured for any shipment. The device allows users to track position and temperature, and also detects unattended intrusions or incorrect handling. In its latest iteration, it can also alert users to undesirable levels of luminance or humidity, or abrupt decelerations in transport. 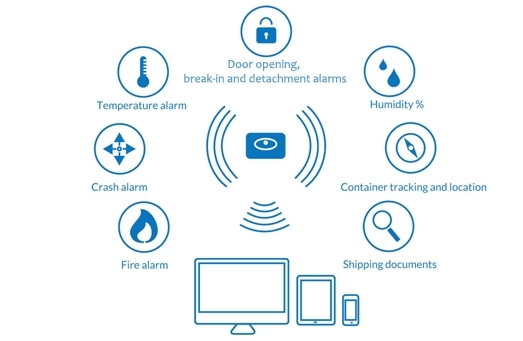 End users can determine the location of their cargo within a few meters by using the ZTS web platform, and they receive email or SMS alerts if the device detects any of the above “alarm events” that exceed user-configured thresholds. Zenatek professionals are at your disposal to deal with your specific logistic and tracking requirements. If your area is not covered or you're interested in becoming a Zenatek agent or distributor, please contact us.